At Uptown Guelph Dental, our team of associate dentists includes both family dentists as well as general dentists with expertise in the fields of periodontics and orthodontics. As such, we’re able to provide best-in-class care when it comes to surgical procedures like dental implants and gum surgeries. 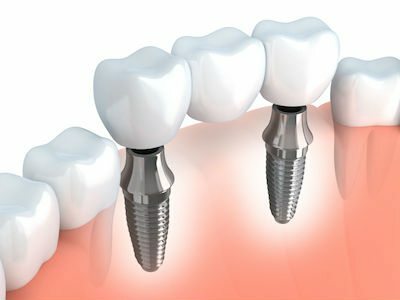 Implants are titanium artificial tooth roots that are anchored into the bone. Single dental crowns — For individual tooth replacement, the crown is the first line of defense. The new crown is bonded right over your implant abutment! That way you don’t have to take away the healthy surface of neighboring teeth, like you would with a traditional bridge. Dental Bridges — Replace up to three or four teeth at a time, with just two implants. It’s a great alternative to a traditional removable partial. All-on-4 and dental implant retained dentures — For full mouth tooth replacement without the worry of wearing a traditional removable denture. Some people can support a full arch prosthesis on as few as four implants. This method prevents the problem of your denture rocking or feeling unstable throughout the day. Dr. Medhat loves performing same day dental implants. In some cases, we can even complete the procedure on the same visit that a tooth is extracted. Initially we will put a temporary crown over the implant, but as new bone fuses into place, we can craft a permanent restoration that will look and feel more like it should. More people are coming back for dental implants in their 60s and 70s, because of how great the results are. What do You Need to Know About Getting Implants? It’s extremely important that your mouth be healthy enough to support these artificial tooth replacements. An adequate amount of healthy bone is key. Otherwise, we may need to perform a procedure such as a sinus lift or bone graft to ensure that your “tooth” will be stable. 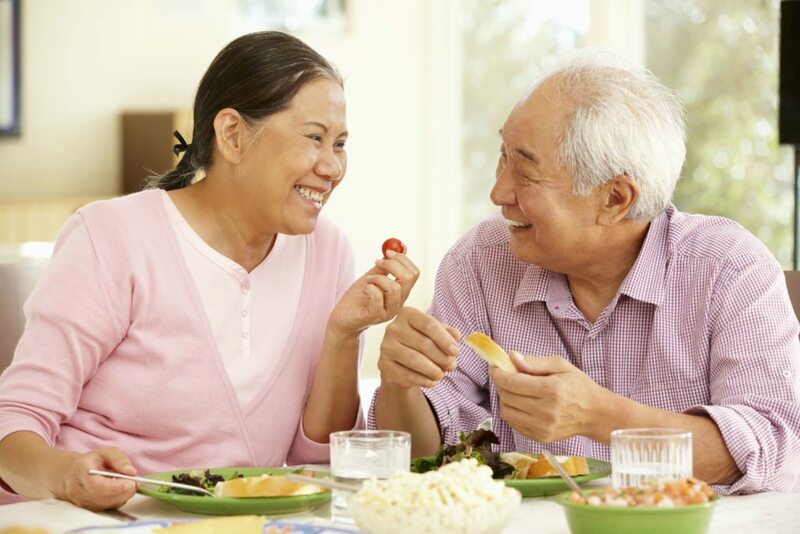 If you’re considering dental implants, we take a very individualized approach to your care. No two people are alike! Plus, you can rest assured that we have a general dentist with expertise in periodontics on staff who is available to perform your surgery. Your initial consultation will include an exam and X-ray, to assess your oral anatomy and determine if you are a candidate for the procedure. In certain situations, we will refer individuals out for a computerized CT scan to plan their implant placement and create a surgical guide. Sinus Lifts —To raise the lining of your nasal sinuses, which often drop after teeth have been missing. If needed, this procedure is done prior to placing a dental implant. Recession Grafts — Exposed root surfaces may be sensitive or jeopardize the integrity of your tooth. We can cover the area with a soft tissue graft. Bone Grafting — Adding extra bone to areas where a dental implant or jawbone needs to be preserved. Gingivectomies — Altering of the gum shape and contour, either for aesthetics or when associated with other restorative treatment. Gum Flaps — Extensive gum surgery used when you’re at risk of losing your teeth to periodontal disease. You might be in need of gum surgery if your smile’s integrity is in jeopardy because of gum disease, recession, or abrasion. Aesthetics may also be a concern. Call our office to book a consultation. See our Root Coverage cases here.